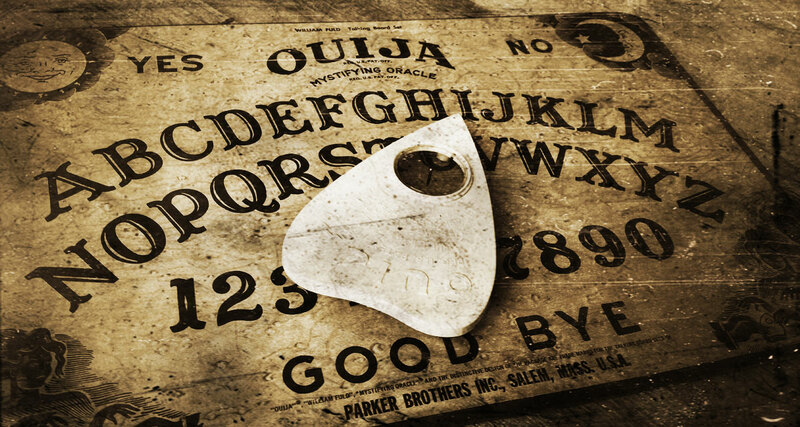 Is there any evidence that Ouija Boards can contact the other side? Your personal experience. Or solid scientific proof. Both are equally important. Do Ouija Boards work? My grandmother was a very firm spiritualist believer and dragged the very young me and my slightly older brother into the odd session around her Ouija Board. We were too young then to know or care much about the spiritual world so we treated it as a party game. Neither of us have tried it since, hence this question. About all I know about Ouija Boards is that 'Ouija' is nothing more than a trade name made up by its American inventor by cunningly using the French and German words for Yes...that is Oui + Ja. Now I'd very much like to know what you think. Is there any proof (personal or otherwise) that Ouija Boards work? A Ouija Board just like my Granny's. Re: Is there any evidence that Ouija Boards can contact the other side? The $1m prize from James Rand? Tell me more, dear sir. Prove some weird paranormal thing works, under scientifically rigorous testing, and the James Randi foundation will give you $1m. Simples. Most times they fail on the "scientifically rigorous" requirement, though. Thanks for those links Siasl. I always feel that 'paranormal' people are more just abnormal than paranormal but then I've always been more plugged in to the real world than the spiritual. I'll dig into your two links more thoroughly tonight - or maybe I should save them for Halloween in a couple of week's time when I can really spook myself out? Have a look for Derren Brown and cold reading, that'll give you all you need to know about "psychics". I just read up on your Mr Derren Brown, Heels. What a swizz! It just re-confirms to me that the whole paranormal thing is for gullible, unsuspecting and clueless nidgets and numpties...and run by unscrupulous and manipulative spivs, shysters and blackguards. I've now recycled my Ouija Board. It makes excellent kindling. I wouldn't be quite so quick to discard all of the paranormal, though I do think that there's an awful lot of people who claim unusual abilities that are kidding themselves. I've been with groups where they have all 'seen' someone pass around a room, and I was in exactly the same place with my eyes wide open and saw nothing - neither did my colleague who was also an 'outsider'. That said, I've also seen a ball of light appear out of nowhere in an historic castle, and lots of unexplained things happened in our last house, where we filmed hundreds of 'orbs' for which I could find no explanation. Were they paranormal? Really not sure, but they are still unexplained.